Stallion Responsive is currently not available to purchase and I have no plans to release any new updates. I’m afraid the time taken on updates vs money from selling a single theme (I don’t get enough sales**) isn’t worth the investment (in time) managing. 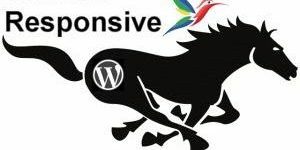 Stallion Responsive today (November 2017) is still by far the best WordPress SEO package available, so current users will be fine for at a least a year. ** For the record I made the mistake of making Stallion Responsive too complex for the average user, I developed an SEO package for advanced SEO developers (me). The average user wants basic SEO packages like the Yoast SEO Plugin with a handful of options which do very little SEO wise, but feel like they are achieving something after clicking half a dozen options. Real SEO takes time and effort and LOTS of options (hundreds of options) in a real WordPress SEO package, but the average WordPress user doesn’t want real SEO, they want minimal SEO like Yoast offers. Do you want a WordPress SEO Theme designed by and for an SEO Expert with over 15 years online marketing experience? My SEO journey began in 2001, Google wasn’t even three years old. I started an online business selling products on a new ecommerce site (see my CV for details). I didn’t have a clue about web design, online marketing or SEO and with an annual marketing budget of under £500 I couldn’t afford to pay for traffic or expert help! I had no choice but to learn everything required to build and run a successful online business, including how to gain masses of free organic search engine traffic: million of organic visitors a year. 15+ years later, Google is old enough to vote (how quickly they grow up), I’m proficient in search engine optimization, online marketing and have developed the Stallion Responsive WordPress SEO Theme. Stallion Responsive is the most advanced/feature rich WordPress SEO Theme on the market and you can try the FULL product for free via the download links below. When ready to buy a full theme license, use the Get It Now button below. Trust is so important in business, everyone is trying to part you from your hard-earned cash, you need partners who deliver results. I’ve been developing Stallion Responsive for over 10 years, not to sell per se, but to use on my WordPress sites: I’ve been a WordPress user since 2006 and NEEDED a WordPress SEO theme, since none existed, I created one. I’ve taken multiple new sites from zero visitors to over 10,000 unique free organic search engine visitors per day in under a year using search engine optimization techniques. 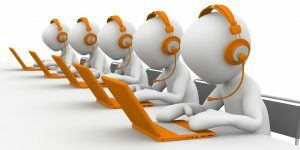 Using affiliate marketing techniques in combination with SEO I’ve sold over $400,000 worth of Amazon products on a simple Classic Literature site built from free public domain content: a complete novice could build a site like this. 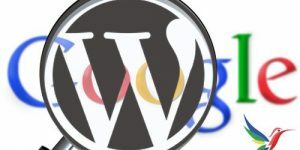 My WordPress sites have earned hundreds of thousands of dollars from the Google AdSense program from free organic search engine traffic: I never pay for traffic. As a Freelance SEO Consultant (for ~12 years) I’ve had small-medium size businesses retain SEO services for periods measured in years: longest freelance contract was over 8 years. I’ve supported my theme/plugin users (for free) for over 10 years, look through this sites 4,000+ user comments using the comments search form below. Note 1: The ability to search through comments is a Stallion Responsive feature you won’t find in other themes. Note 2: The form above is added as a custom widget area directly into a WordPress Pages/Posts content, another Stallion Responsive feature you won’t find in other themes. 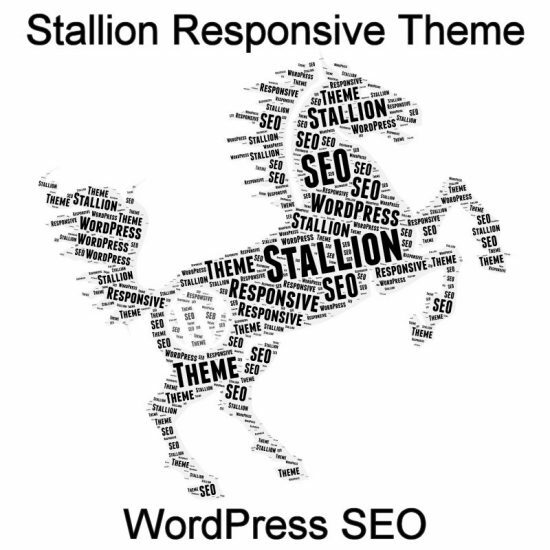 Stallion Responsive is technically a WordPress theme, but in reality it’s a WordPress developers SEO framework consisting of dozens of WordPress plugins and custom SEO code features: install Stallion Responsive like any theme and the entire SEO package is available via a set of options pages. You will have access to features like the comment search form above, the ability to create custom widget areas which can be added inside Page/Post content like the two popular posts widgets (which include silo SEO options) below and dozens of other cool features. You get all these features in one theme for one price: currently only $30.00. Stallion has so many builtin features I’ve started pulling them out and releasing them as stand alone WordPress SEO plugins to make updates and improvements easier to manage/maintain: yes, I’ve added too many features! 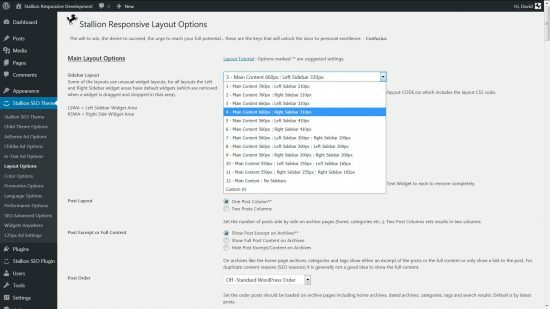 Above is a screenshot from one of the dozen plus Stallion Responsive options pages showing a small subset of performance SEO options (there’s hundreds of theme options). What you see in the screenshot could easily be released as a premium WordPress SEO Performance plugin. 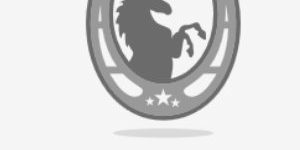 Install Stallion Responsive (see the links to the zip files above), check out all the Stallion SEO Theme Option pages and imagine what it would cost if Stallion Responsive was split into dozens of premium SEO products. 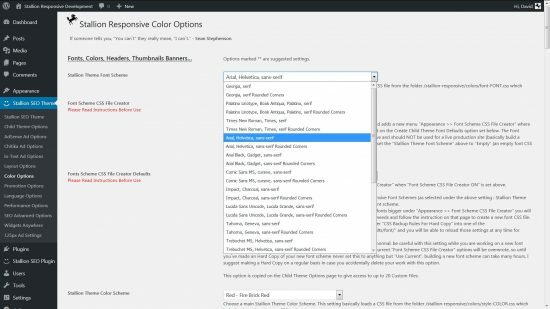 There are over a dozen Stallion Responsive Theme options pages giving the WordPress site owner access to hundreds of options. WordPress is primarily designed to be used as a blogging platform, but it can be so much more. Maybe you want a WordPress site with Blog like features, set the right options and your sites a Blog. Maybe you want a site with few Blog like features, set the right options and WordPress becomes a general Content Management System (CMS). Or maybe you want some parts of the site to be Blog like and others not, it’s all possible with Stallion Responsive. Below is a taste of Stallion Responsive features: NOT a comprehensive list. Each Layout/Font/Colour Scheme can be used sitewide AND on a Post by Post basis (unique Stallion Responsive design feature). With 12 layouts, 26 font schemes and 112 colour schemes there are 34,944 (12 x 26 x 112) possible combinations of layout/font/colour scheme. 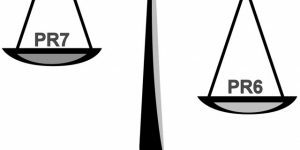 If you own a site with 34,944 posts each Post could have a different combination. If that’s not enough design choices, ALL the font schemes and colour schemes can be modified (via options pages) to either tinker with the output OR design an entirely new look. Built around 26 Standard Widget Areas and an unlimited number of Custom Widget Areas (for adding to Custom Page templates) and Stallion Anywhere Widget Areas (add a widget area and it’s widgets inside a Pages/Posts content: see earlier examples). The screenshot below shows the output of the widgets options page (“Appearance” >> “Widgets”) with Stallion Responsive active. 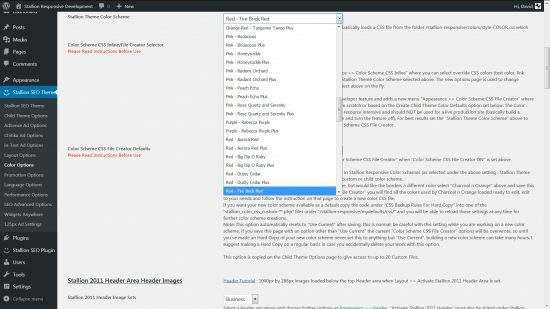 There’s an entire options page (the Layout Options page) devoted to customizing the basic design of your site. With most WordPress Themes if you want an unusual design you have to modify PHP template files! With Stallion Responsive almost anything is possible with a few clicks of the mouse (you can of course still create customized Page templates). Below are some of the possible design choices, many of the options below are also available on a Post by Post basis: each Page/Post can have it’s own unique design. Tagline location : within the header, below the footer or not at all. Posts meta area location : above the content, below the content or disabled. Posts meta area elements (the Page/Post date for example) : each can be enabled/disabled (full design control). Enable/Disable The Continue Reading links (on archives). Enable/Disable The Author Biography Box (on Pages/Posts). Enable/Disable The Comments on Attachment Pages : yes, image attachment pages can have comments. Enable/Disable The Comment Gravatars : hide them to be less blog like. Enable/Disable The Comment Dates : hide them to be less blog like. Enable/Disable The Comment Button Link (on archives). Enable/Disable The Scroll Top/Bottom Arrows. Enable/Disable The WP Admin Bar : it’s annoying. Enable/Disable The Photo Navigation Menu : have a menu with images. Enable/Disable The Navigation Menu Primary : standard menu. Enable/Disable The Navigation Menu Secondary : have a second menu. Enable/Disable YouTube Comments Embed : WordPress by default doesn’t embed videos in comments. Enable/Disable Widget Display Features : determine where widgets load. Enable/Disable Widgets Anywhere : add a widget almost anywhere. Enable/Disable Widget Columns : split widget areas into multiple columns. Enable/Disable Better Search Excerpt : create a search engine optimized excerpt. Enable/Disable Custom Templates : allows Page templates to work with Posts and adds Category templates. Multiple options for how tags are shown (or not) on archives and Posts. DMOZ/Yahoo Directory Robots Meta Tags : block Google from using the DMOZ description! 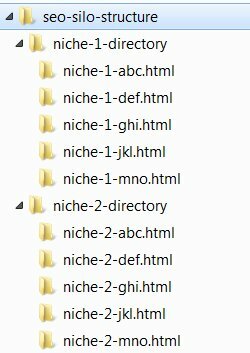 Optimized H1 Header Tags : many themes have the sitename/link within a H1 header sitewide! Optimized Continue Reading Anchor Text : so many themes use “Continue Reading” as the anchor text!!! All WordPress Nofollow Links Removed : nofollow links delete SEO link benefit, WordPressby default adds lots of nofollow links!!! Some of the ad networks below are difficult to incorporate into a WordPress theme, it’s a ready to go with Stallion. Stallion Responsive runs on this website and the vast majority of my network, without Stallion I wouldn’t be living mortgage/debt free in a four story, nine bedroom ex-guesthouse in a small seaside town on the UK’s east coast with no money worries. 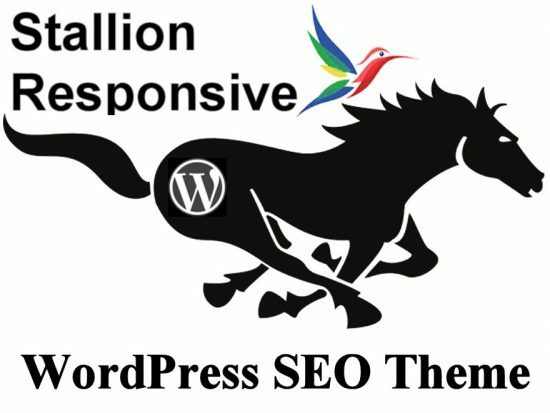 I can’t guarantee you can live mortgage free in a few years, but can guarantee if you use Stallion Responsive you’ll have the very best onsite SEO possible from a WordPress site: one less thing to worry about.